1. 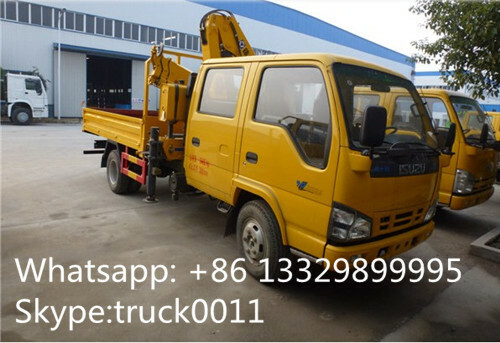 High quality material: Our crane boom use high strength steel HG70 which is manufactured by Chinese famous steel factory--Wu Gang. It is well known for its high strength, good plasticity, good toughness and weldability. 2.Advanced technology:Our crane boom are all utilize one-time molding process,only one soldering seam, strong bearing capacity. 3.Hexagonal boom section makes the boom has better centering and anti-bending ability. 4.Advanced design method makes the design reliable. 5.Compact structure design makes it take over less space. 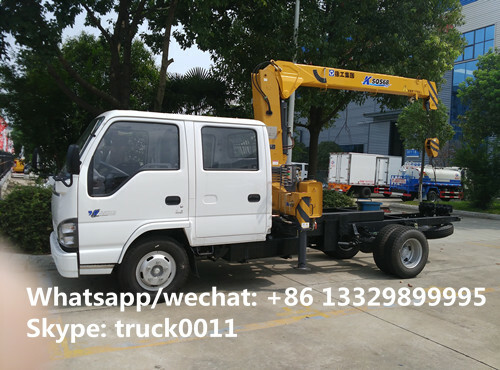 If you're interested in ISUZU truck mounted crane, please feel free to send email to truck0011@163.com or talk to Anita directly by Whatsapp/Wechat/Mob. : +86 13329899995. 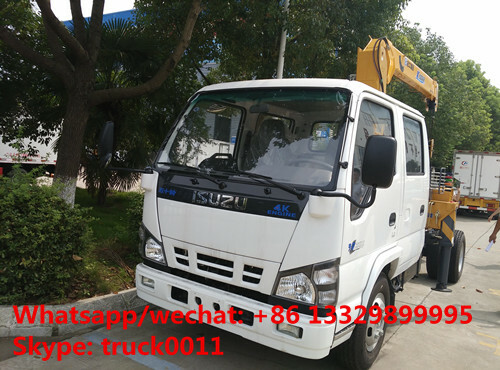 More pictures of hot sale ISUZU double cabs truck with crane manufactured by Chengli Special Automobile Co., Ltd. as below. 2 The more symmetrical center design of pentagon&hexagon boom make it has bigger anti-bending capacity. 5 Float three-point dridge structure design can lower the accessional stress on the chassis when traveling.